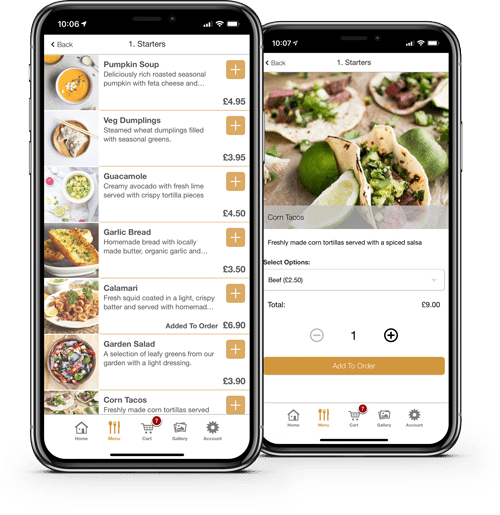 Let customers order food directly from your own branded Takeaway App. 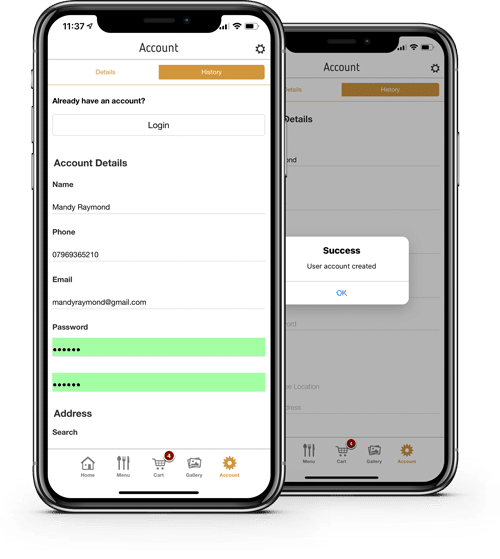 Create My Free AppNo credit card required. The takeaway template features a gorgeous food ordering menu, checkout system and loyalty program. Upload your logo and design your colour scheme in seconds using your Facebook page or website. 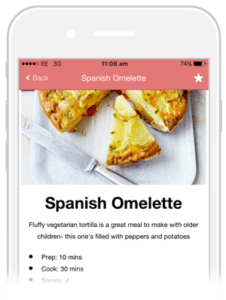 Add your menu items, customise your toppings and upload photos of your dishes with our simple editor. 4. 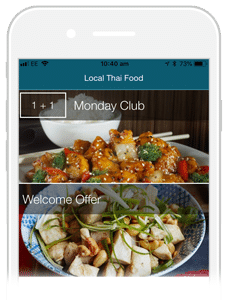 Launch your takeaway app! With a few clicks, you can launch your app and place it in your customers’ hands. 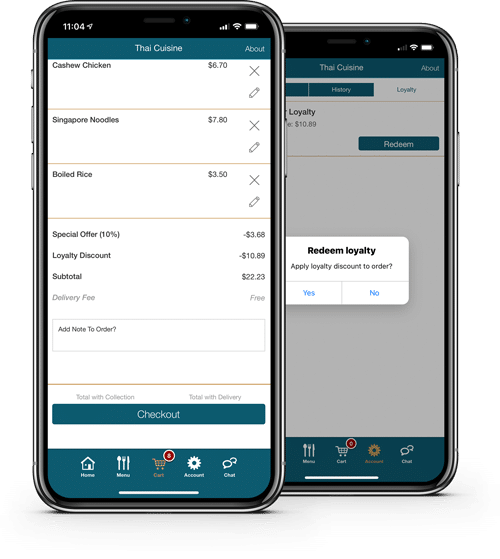 Build your menu with our simple drag-and-drop suite to create an intuitive food ordering experience for your customers – without having to write a single line of code. Add all of your dishes and options for extras like toppings, sides and garnishes to give your customers a professional ordering experience. 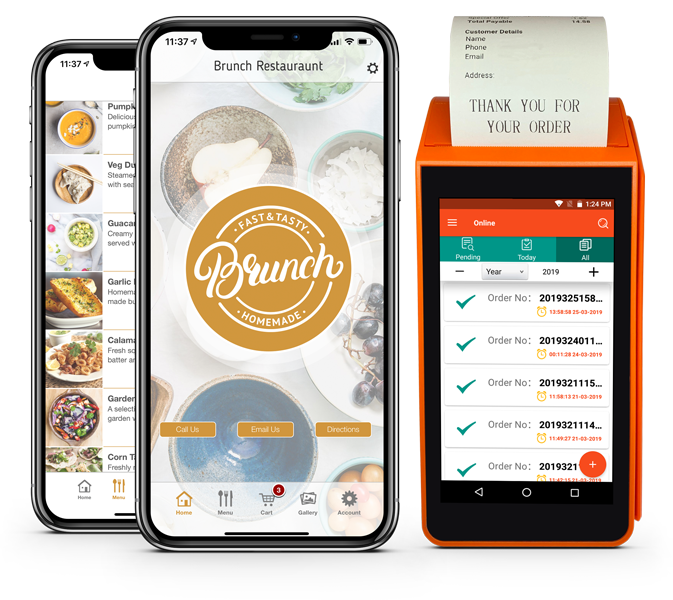 Your new app will integrate seamlessly with an Android powered wireless printer, meaning you can automatically print orders and send them to your kitchen with ease. 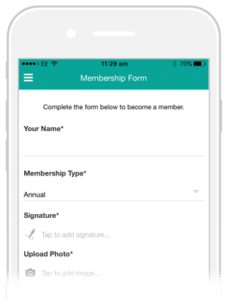 Allow your customers to create their own account and save their favourite meals and orders to keep them coming back for more. Give your users all the benefits of a site like Just Eat, without the margin stretching commission rates. Take card payments using your preferred payment gateway directly through your mobile app. 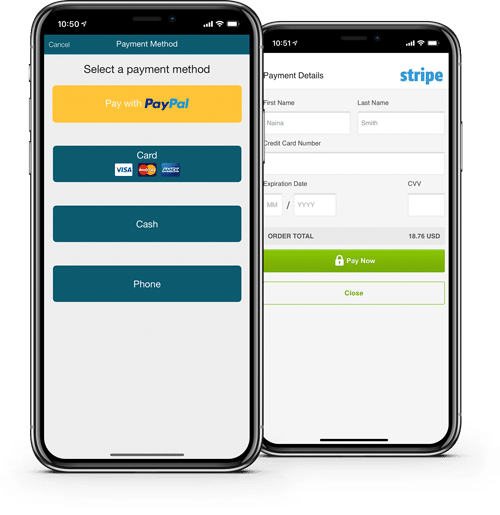 Our takeaway app builder integrates with a variety of popular gateways, as well as offering the option to take payments through PayPal or cash on delivery. We’re online and ready to help you create your free app right now. Incentivise loyalty by offering a discount and check-out for your top spending customers. 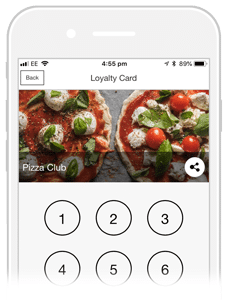 Simply set up a minimum spend amount and loyalty percentage and give your best customers a reward for their business. 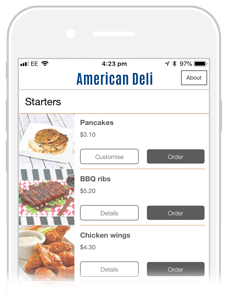 Our Android powered wireless printer integrates seamlessly with your takeaway app and prints off orders ready to to go to your kitchen. 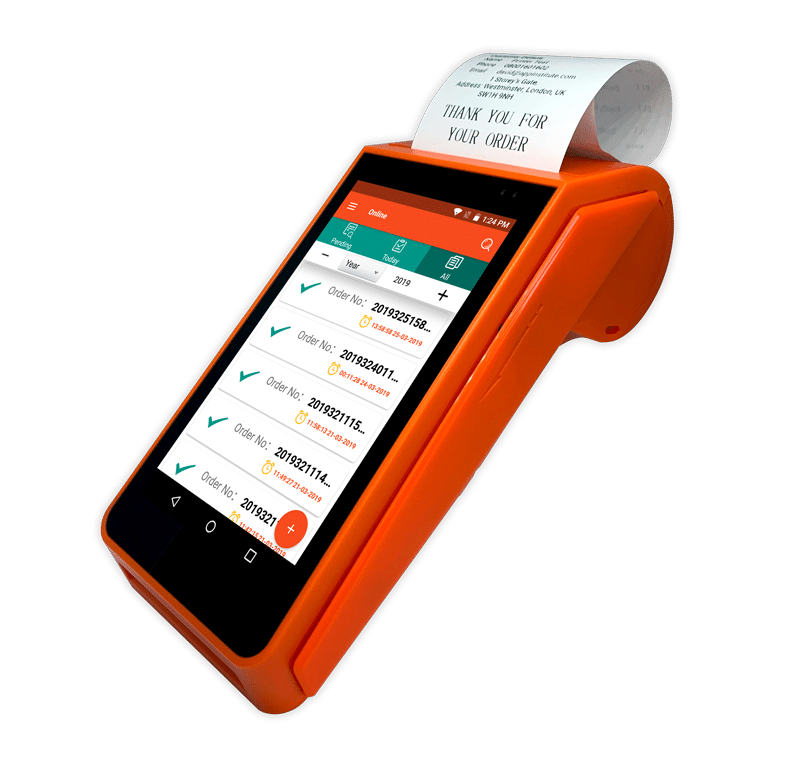 Take contactless payments and eliminate the need for bulky, expensive POS systems. 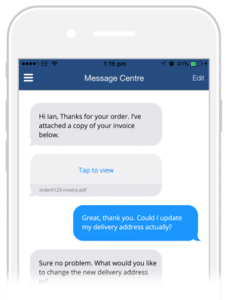 Use the device to send powerful push notification marketing messages to your customers. 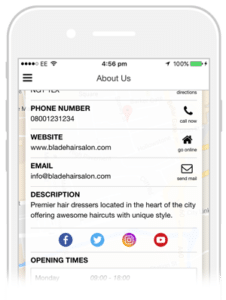 Customise your app with any combination of our built in features. Perfect for Takeaways and Restaurants. 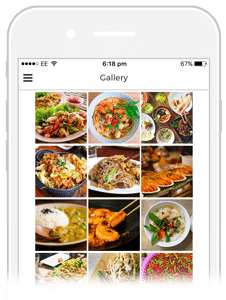 Offer food ordering services from your own app. Promote your products, staff or events and allow users to rate your photos. 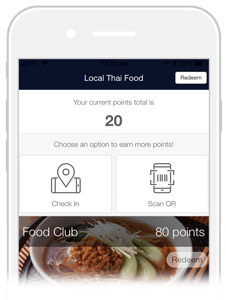 Let customers earn points to redeem again rewards by checking into your business. Don’t Want to Build an App Yourself? We’ll do it for you! remain 100% focused on your business.